Suzanne Hall rocks out. | 30th Anniversary Issue | Style Weekly - Richmond, VA local news, arts, and events. 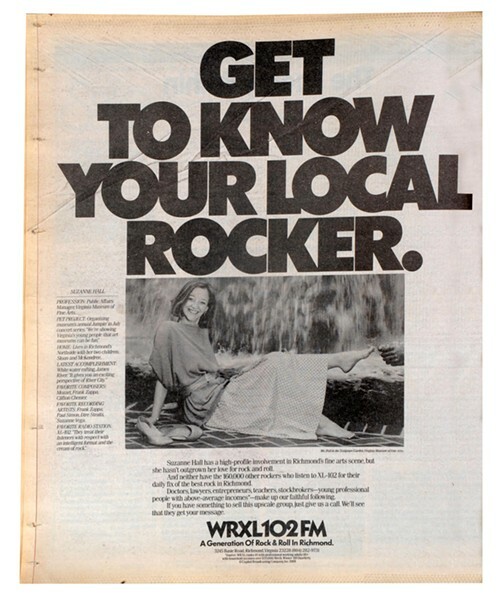 The back cover of Style features Hall — who serves as the Virginia Museum of Fine Arts' chief communications officer — in the former sculpture garden of the museum, part of an advertising campaign by WRXL-FM 102.1.